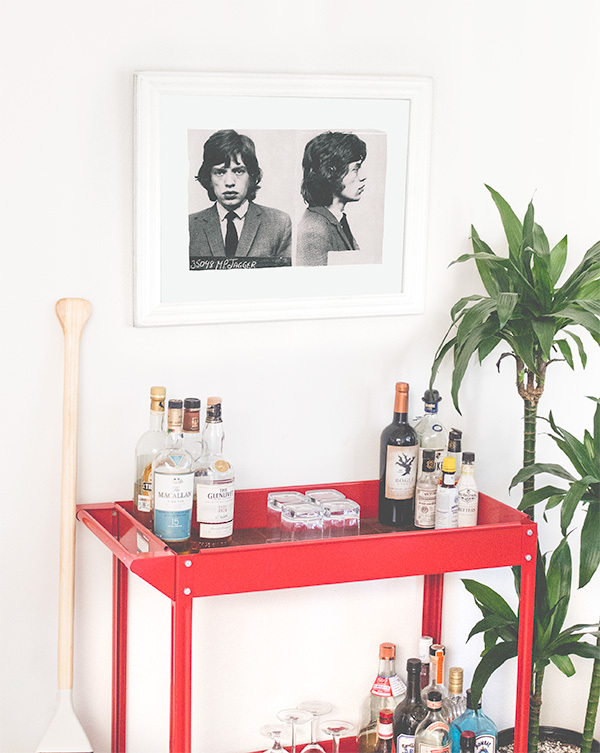 Add a little rock n' roll to your place. 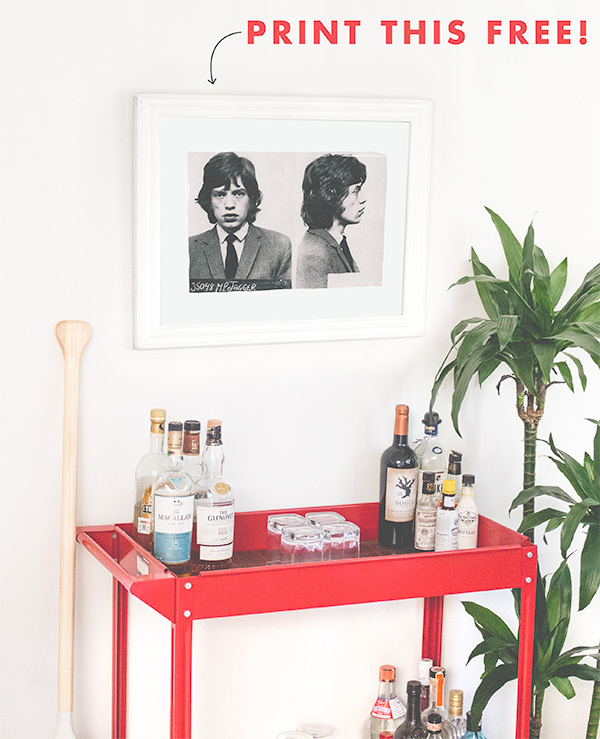 After an anonymous tip on February 12, 1967, local police in West Wittering, a small village in the southern UK, raided the home of Rolling Stones' superstar Keith Richards. 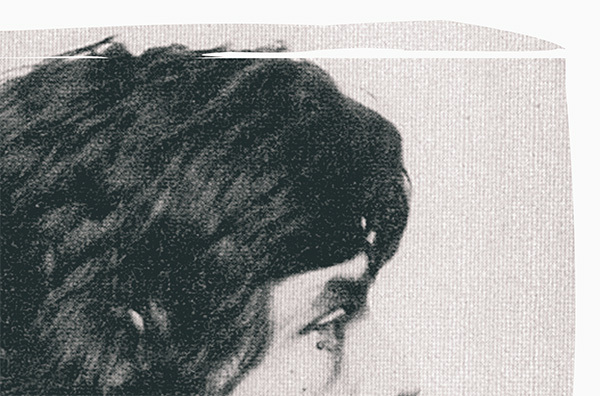 Richards and a young, 24 year old lead singer Mick Jagger, were arrested on suspected drug use, charges that were later dismissed, but not before the duo were given uncharacteristically harsh prison sentences: 3 months for Jagger and a year for Richards. The Rolling Stones, of course, need no introduction. They're widely considered one of the greatest rock bands of all time, and were leaders in the British Invasion of rock n' roll in the United States during the 1960s. Viewed as the harder, more rebellious counterpart to The Beatles, the band members became poster children for parents warning their young kids of what not to be. Nearly 54 years later the Stones continue to tour regularly, with Jagger, now 73, still widely celebrated for lively and energetic performances that make me want to take a nap just watching him. The band was integral in infusing the raw, gutteral elements and progressions of blues with pop music. Their band name came from a song by Muddy Waters, one of the most influential blues musicians ever. The Stones and Waters did a live set together in 1981, here's Waters' most famous hit, Mannish Boy. The famous tongue and lips logo was introduced in 1971, with Jagger suggesting it copies the Hindu goddess Kali, who represents Time, Change, Power, Creation, Preservation, and Destruction. 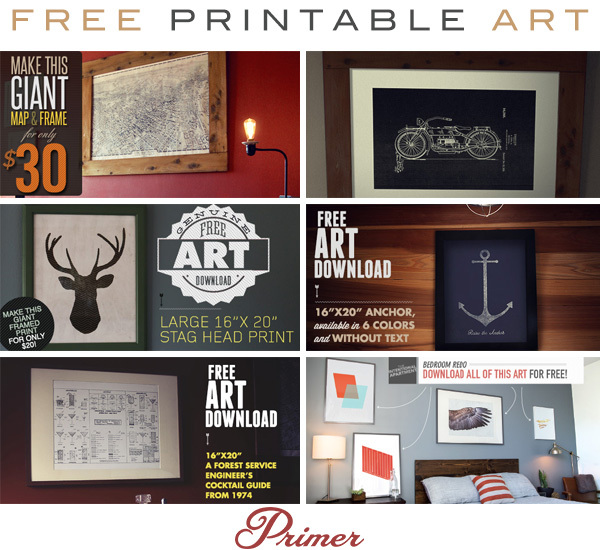 This free art is designed to be printed at 16″x20″ or smaller. It includes a built-in matte, which features a natural edge, reminiscent of old print photography. Simply download the file and have it printed locally, I like to use Costco, where a nice large 16″x20″ is less than $10. Almost every frame in my place is from Ikea – they have a lot of affordable options in different sizes and styles that look way better than their Wal-Mart counterparts. Love it. It’ll go great with my picture of Francoise Hardy on the set of Grand Prix. With all the design tips and art I’ve gotten from this site, I should call my style Prime Chic. Do you ever run into issues at Costco where they won’t print because of copyright? I’ve never had a problem. This specifically is a mugshot and isn’t copyrightable.